Lauding the spree of initiatives rolled out by the Income Tax Department (ITD)to ensure tax compliance and diligent filing of income tax returns, Union Finance Minister Arun Jaitley while launching the website of 'Operation Clean Money' on Tuesday said tax is evasion is unsafe since an element of disproportionality can be easily identified. Addressing the media here, Jaitley while analysing the impact of Prime Minister Narendra Modi government-led demonetisation drive said there is a fear of dealing in cash that has been instilled among the people. "After demonetisation, three things have been observed: increase in digitisation, increase in quantum of tax and fear of dealing in cash. Number of tax payers filing personal income tax returns has also increased," said Jaitley. Emphasising on the importance of tax compliance, Jaitley asserted that with the ITD scrutinising loopholes in tax payment, tax payers will benefit out of voluntary compliance to the subscribed tax schemes. "Through data mining, over 18 lakh cases have been identified, with Rs. 91 lakh additional returns being received. This number will surely increase. 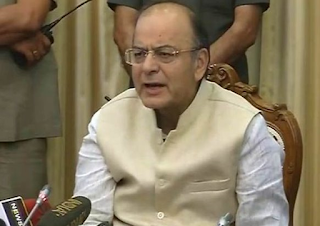 Wherever evasion is detected, the regulatory bodies will look into the matter," said Jaitley. With regards to an increase in digitisation, Jaitley also highlighted a visible decline in personal interaction with the tax officials, since payment and receipt is all electronic. Operation Clean Money was initiated by the ITD on the January 31, 2017 with the launch of e-verification of large cash deposits made from November 9 to December 30, 2016. In the first phase, around 18 lakh persons were identified in whose case, cash transactions did not appear in line with the tax payer's profile. There has been an encouraging response to the online verification process and more than 9.72 lakh taxpayers submitted their response without visiting Income tax office up to May 12, 2017. These taxpayers have provided response for 13.33 lakh accounts involving cash deposits of around Rs. 2.89 lakh crore. The online responses have been assessed and no further action will be taken in cases of satisfactory explanation. The ITD on-boarded two specialised data analytics agencies and a business process management agency to augment departmental capability in analysing large volumes of cash deposit data, track the compliance status of taxpayers and reporting entities. With the continuous flow of information from various sources including Statement of Financial Transactions (SFT), the ITD is conducting analysis in conjunction with previously available or analysed data. Such incremental data analysis has already led to identification of new cases for e-verification.